Royal & SunAlliance is launching its first self-invested personal pension and income drawdown product exclusively for IFAs. The life office says that new safety features will make the products very appealing to clients and their advisers. The key feature, recommended by the PIA in its Update 55 document, is the critical yield calculation which helps a policy holder to monitor their investment and check whether the fund is growing into an adequate pensions pot. The life office is also providing investors with additional documentation which spells out the risks from changes in annuity rates, mortality rates and interest rates. The minimum investment into a plan is £100,000. A minimum of £250 month or £10,000 single payment must be made into Royal & SunAlliance funds. The remainder can be self invested. Maximum IFA commission is 3 per cent with a 0.5 per cent trail but a higher allocation can be offered as an alternative. International Money Marketing is losing its editor to investment research and marketing consultancy Forsyth Partners.Richard Newell is leaving the paper after eight years of service to become director of editorial & media development.International Money Marketing is the sister publication of Money Marketing. Norwich and Peterborough Building Society is making a final assault on the Pep market by launching a General and Single Company Pep.Both products will have a minimum investment of £1,500 with no initial fee.Dealing charges are 1 per cent on the first £5,000 and 0.1 per cent on the excess above £5,000. 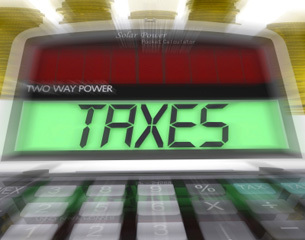 Is there a summer tax storm on the way? Following the surprise return of a majority Conservative government, George Osborne announced that he will deliver a second budget statement on 8 July this year.